The two largest black boxes lie on top of each other and are the same elongated size and layout. They have two rows of lights, with eight lamps and two spots. Recently there have been added to rows of LED lights in one end of the room. There’s also speakers and a sound system and they are both completely darkened. 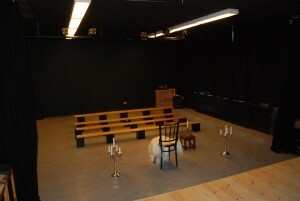 A small black box with a slightly raised stage in one half of the room. 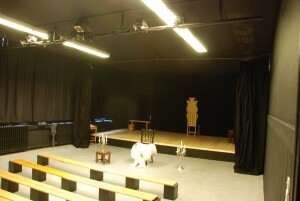 The stage is normally used for children shows, and therefore have to taken a bit more care of than the other rooms. 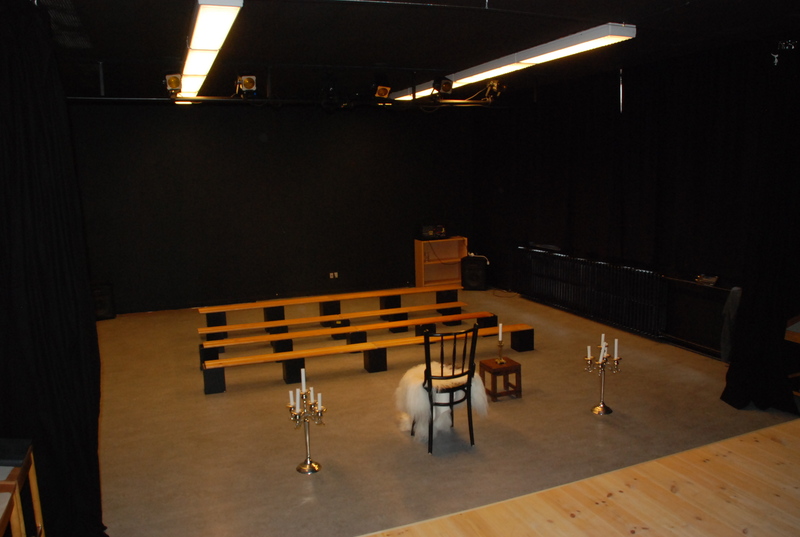 The benches and other stuff in the picture will be removed during BBH. 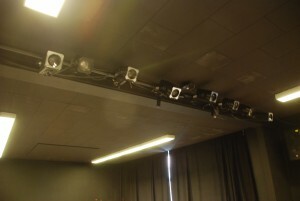 The have the same lighting and sound system as the two big blackboxes. 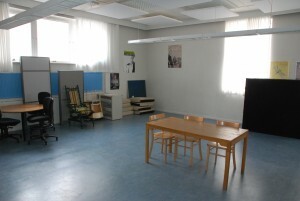 This room has since the pictures were taken been made into a black box. 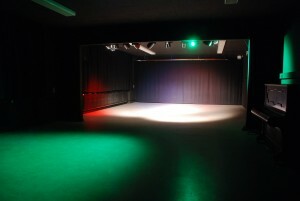 The lighting in here is more simple than the others, and less flexible. Besides that there are some props and sets in there that we are not allowed to move or touch. This room is best for larps with smaller and simpler setups. 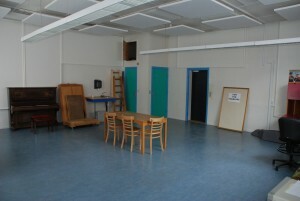 There is also a dance studio. We don’t have pictures of it. 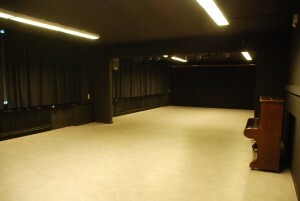 But it is an average dance studio with a mirror wall that can be covered and a professional dance floor. It is however not a black box and does not have lighting but it does have sound sistem. Shoes are strictly forbidden in here.